Have some items with you that remind you of home. Remember that you might not be able to put things up on the walls of your room so think about investing in picture frames that can stand on their own, rather than stick them to the wall with sticky tape or putty. At an international boarding school with many students, it can be easy for things to be misplaced so label everything clearly with your name. Make a plan for how you will keep in touch with your family. Set a regular time to speak to your parents on the telephone – this can help you get through the first few weeks of school as you settle in, and help you keep in contact as your life at Brillantmont gets busier. Naturally, however, you may find that you need family contact less and less and time goes by – this is perfectly natural. 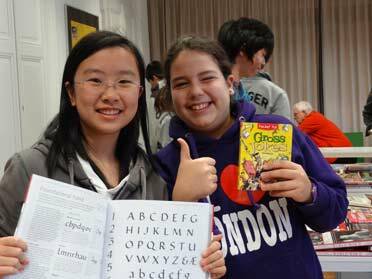 At boarding schools for international students, you will find people from many different backgrounds. While you will learn French and other languages as part of your studies at Brillantmont, you may want to learn a few basic phrases early on. This will also help to foster your own interest in other cultures. Learn some basic housekeeping to help you get into a routine and keep on top of things when you are away from home. Practice simple tasks such as picking out your own clothes and keeping your room tidy at home – once at boarding school it will be routine. Find out as much about the school early on, and you can still learn new things weeks into your first terms. The internet is a good place to start. Find the main website, Facebook, Twitter and familiarise yourself with the school and its routines. Work out a routine so you do not fall behind with your homework but still have plenty of spare time to relax and enjoy extracurricular and social activities. Talk about any concerns you might have about life at an international boarding school with your parents as soon as you have them, or the teacher you feel most comfortable with.